Add signatures, text, and images. Make changes and correct typos. OCR scanned docs. Fill out forms. Proofread OCR text! 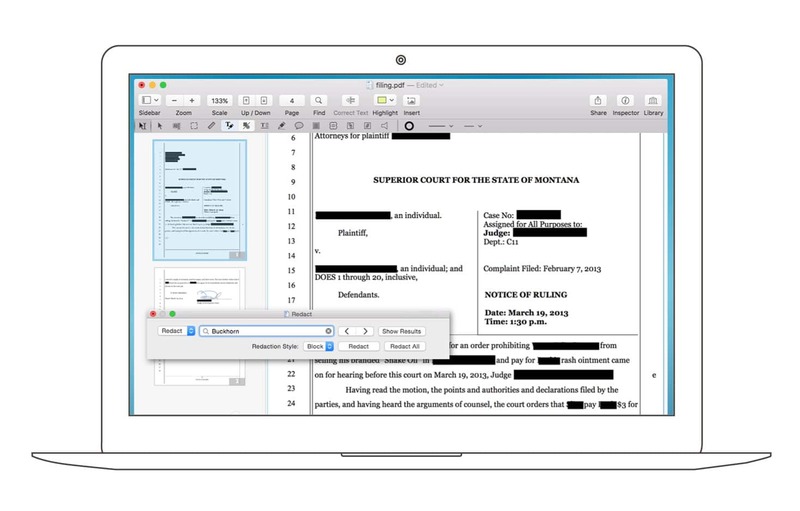 PDFpen does Optical Character Recognition (OCR): turn those pictures of scanned text into words you can use, then proofread them for accuracy. Need some major changes to your PDF? Export your PDFs in .docx format for easy PDF editing and sharing with Microsoft® Word users. Select text in your PDF, click “Correct Text,” and edit away! 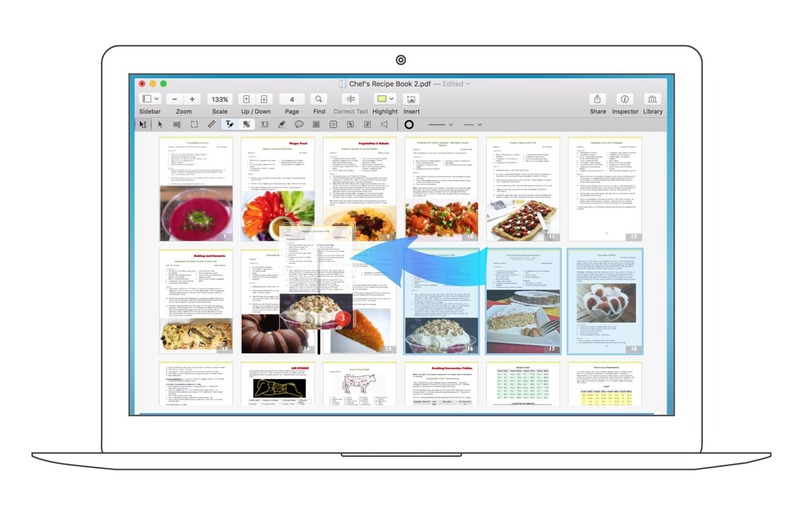 Editing a PDF on your Mac has never been easier. 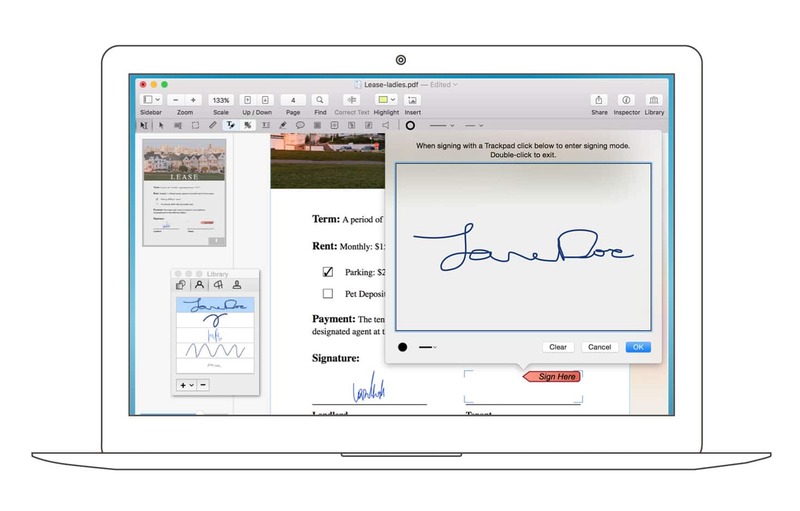 Sign PDFs on your Mac! Sign with your secure and trusted digital signature. Scan in a signature and drop it into your PDF. Or, scribble your signature with a mouse or trackpad. Signed, sealed, delivered: no fax, no fuss. 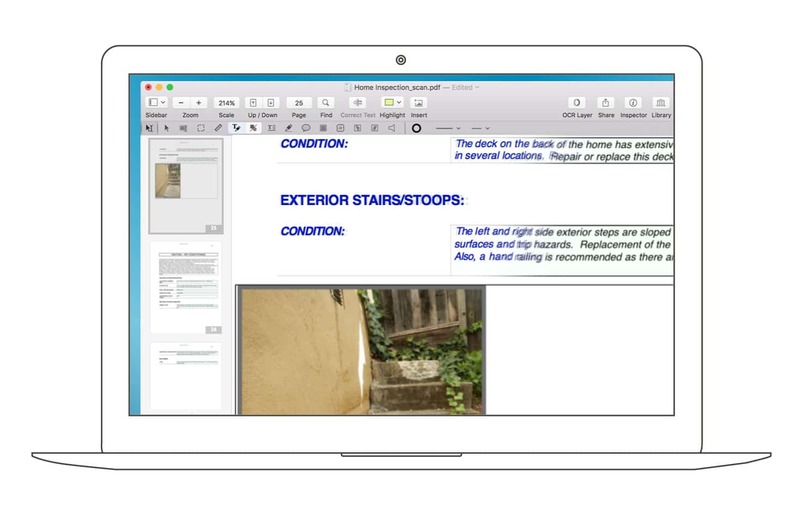 Now you can edit your PDFs wherever you are. 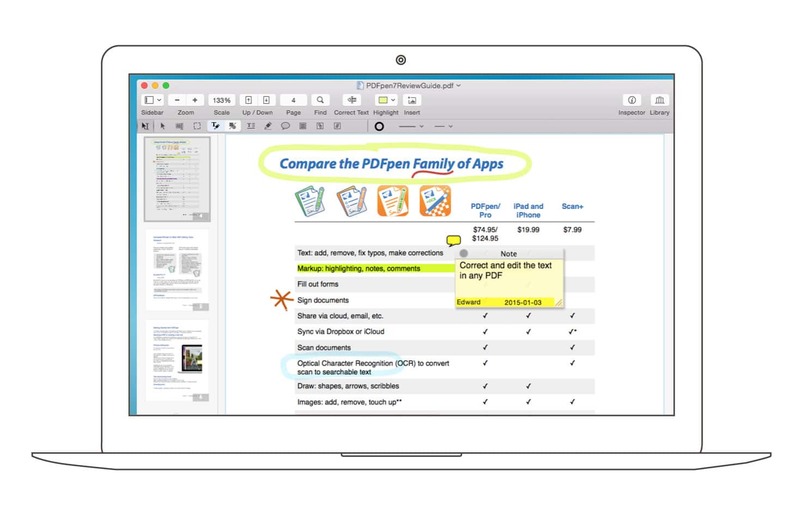 Use iCloud or Dropbox for seamless editing with PDFpen for iPad & iPhone. Need a new page? Insert one. Need to remove a page? Delete it. Pages out of order? Just drag and drop to re-order. Even combine PDFs with drag and drop.